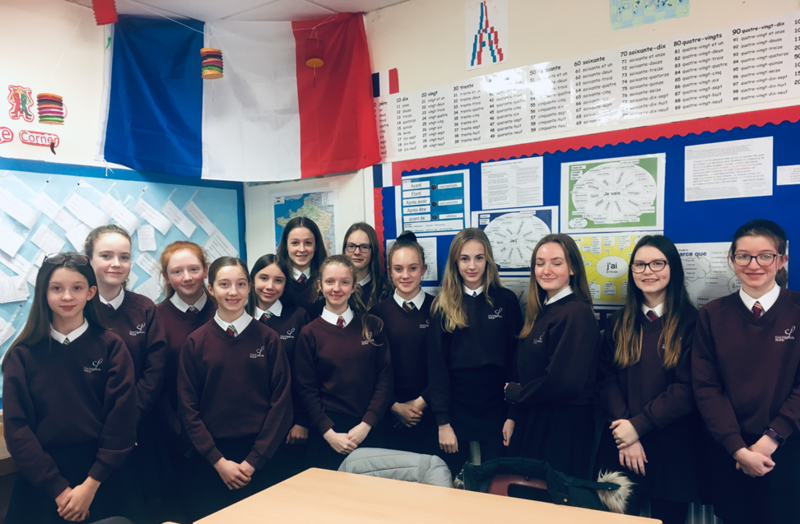 We are delighted to introduce our new ‘Language Leaders’: Adam B (K07), Adrien C (M02), Ella C (S08), Lydia F-W (D06), Tilly L (K01), Sabrina M (M03), Amelia M (M03), Darcy M (D02), Lola M (S01), Emily P (K08), Aaron R (S02), Olivia T (K08), Hannah T (M10), Olivia T (K01), Liam T (M04), Olivia W (D01), Isobel W (D06), Hannah W (D04) and Ava Z (M05) - some of whom are pictured below. 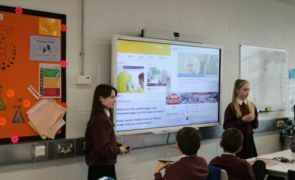 The Language Leaders group has been put together to enhance the experience of Modern Foreign Languages for the students here at Calthorpe Park. 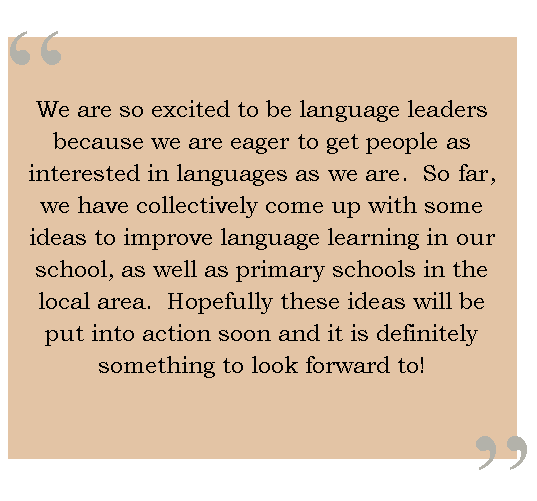 We are already busy planning many events to promote languages and encourage others to take them up, both here and in the wider community. 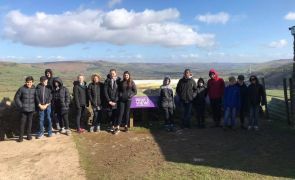 Most importantly for our newly elected team, this award will boost their confidence and leadership skills and will also allow them to have a say in how languages are presented here at school.